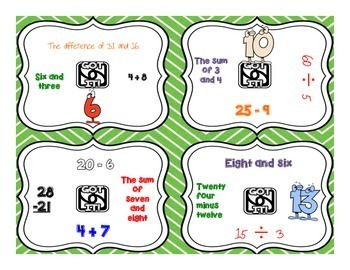 Whole Number Basic Operations Printable Math Game to practice addition, subtraction, multiplication and division of whole numbers. 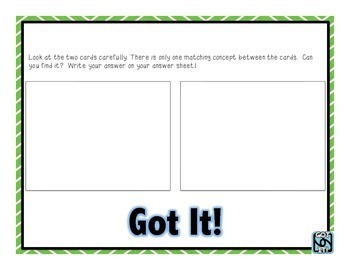 Great for mental math practice, math centers and early finishers. Intended for grade 3 and up. 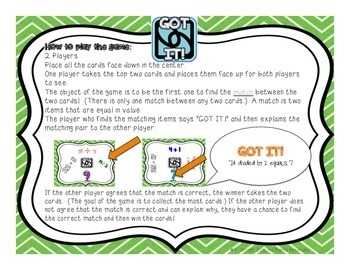 Includes 13 cards, game directions and an answer key. 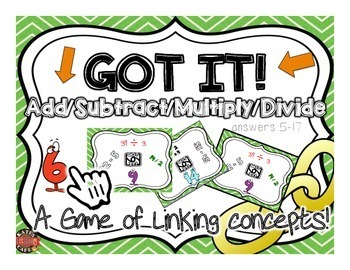 Make math practice fun!